Earlier this week, we had a day that warmed up unseasonably. It was in the mid-sixties, and I went walking with the boys in their wagon with us all wearing short sleeves. It was excellent. I did what any responsible DIY’er or crafter would do when it hits over 65 degrees in December. I dashed outside to spray paint something. 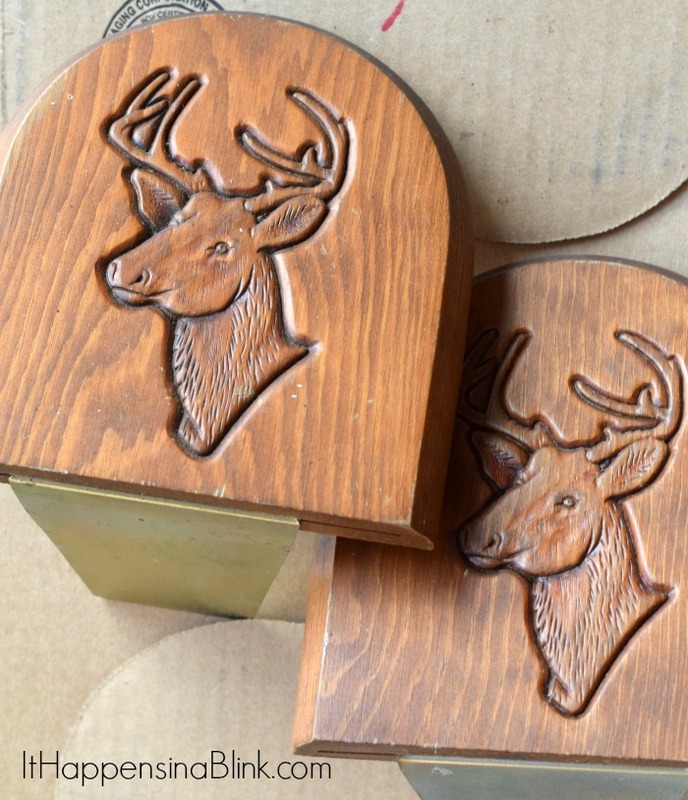 A few months ago, an elderly lady who was cleaning out her garage gave my husband these deer bookends. I like the engraving in the wood, but the wood looked worn and tired. 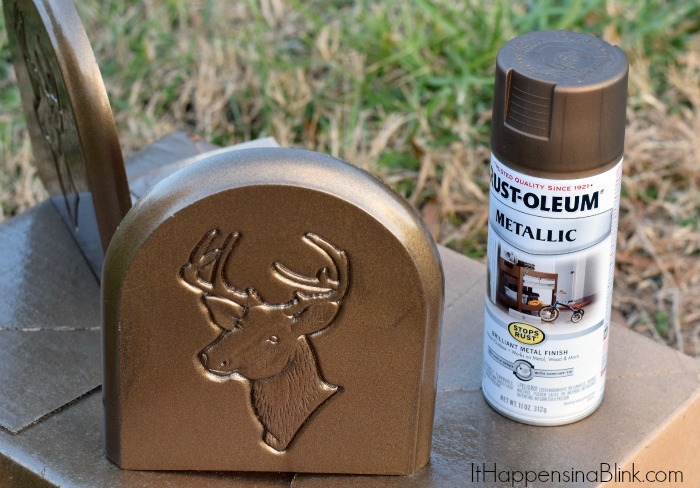 I knew that a coat of spray paint would give them new life and make the engraving pop. 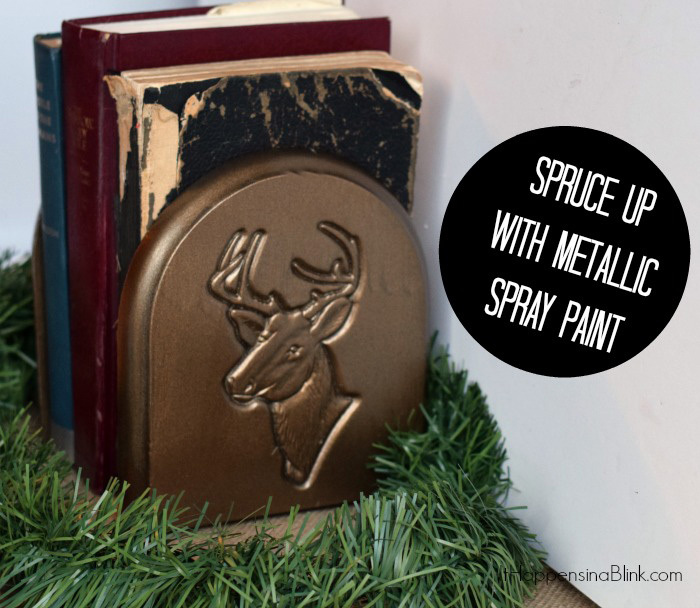 It only took a few minutes to create these Spray Painted Deer Bookends! Since the holidays are upon us, I decided to go with a bit of shine. I used Rust-oleum Metallic in Bronze. I taped out the bottom of the bookends- the portion of the bookend that slides under the book- with painter’s tape. I wiped the bookends clean before spraying. It only took one good coat on each bookend to cover the wood. After drying, they are now ready to be added to my Christmas decor! These came out beautifully! It’s amazing what a fresh coat of paint can do to give something a whole new look! I love to upcycle. 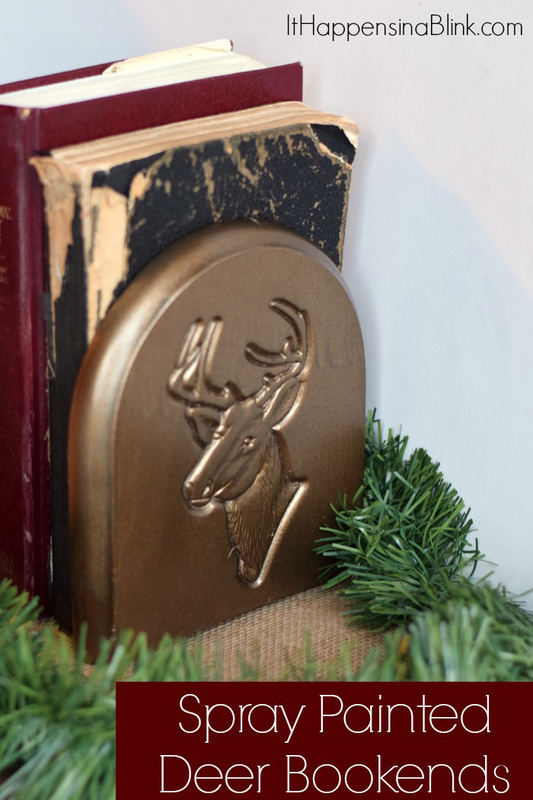 A little bit of gold spray paint, and these bookends have new life! I LOVE these! What an awesome find!